Parliament Week – take part in the celebration of our political heritage! Posted on September 25, 2012 by Culture24 | Comments Off on Parliament Week – take part in the celebration of our political heritage! If your organisation has any collection objects or stories about Parliamentarians, political protests, Reform, the Civil War, the Poor Laws, Chartists, or any kind of social or political movement for change … have you thought about taking part in Parliament Week? Portrait of St. Thomas Becket, reassembled from fragments by Samuel Caldwell Jr in 1919. 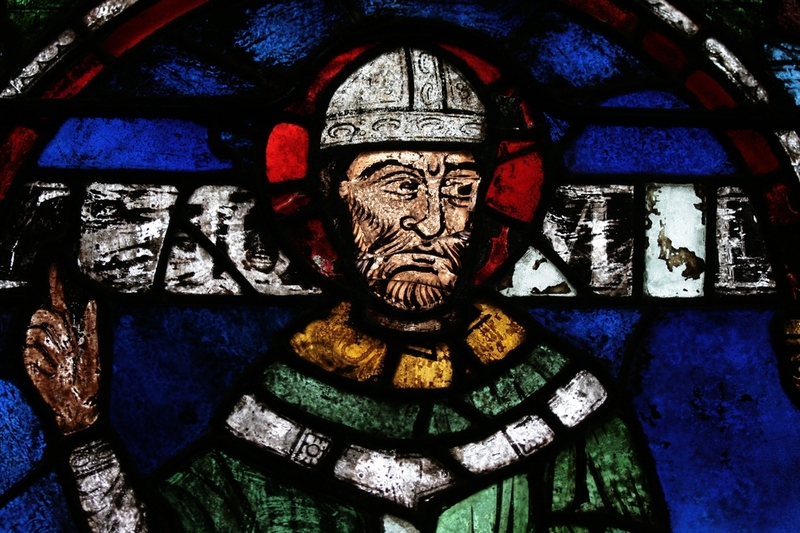 Becket Window 1 (n. VII) in the north aisle of the Trinity Chapel, Canterbury Cathedral. With a little under two months to go, now is the time to get registered for this year’s celebration, which is a growing, nation-wide event with a high profile within Westminster. It is supported by national media coverage and co-ordinated by the House of Commons and the House of Lords – it has the simple aim of raising awareness of democracy and democratic institutions in the UK. We’d love to hear from anyone who has interesting stories, objects or connections to political history in the UK – from copies of the Magna Carta to the Occupy movement, via the English Civil War. If you have anything in your collection about UK Parliament and Democracy now is the time to shout about it. Getting involved can mean doing something as simple as holding a brief talk about something interesting in your collection, a short curator or volunteer-led tour or discussion or giving a children’s activity day a democratic twist! If you’re interested and would like to talk to the friendly team at Culture24 about what might be possible, email ruth@culture24.org.uk or call 01273 623278. Finally if you need any help with ideas – just give us a call. It’s easier than you think to take advantage of this growing campaign. Comments Off on Parliament Week – take part in the celebration of our political heritage! Museums Showoff by the Sea comes to Brighton tonight! Posted on September 20, 2012 by Culture24 | Comments Off on Museums Showoff by the Sea comes to Brighton tonight! Over the last few weeks I’ve been reaching out to museum and gallery folk around the South East, encouraging them to sign up to speak at Museums Showoff – the London open mic night which I’m helping to bring down to Brighton this evening. Tonight’s event should be great fun – please come along, and do invite anyone else who may be interested! Entry is free, but we will be collecting for Sussex Beacon, who provide care and support for people with HIV/AIDS related illnesses. We suggest a donation of £5 each. Celine West – In 1938 British archaeologist JL Starkey was murdered on his way to the opening of the Rockefeller Museum in Jerusalem: a story of treasure, intrigue, and violence, surely? I’ll be talking about what I imagined when I heard about this event, the story I wanted to write and what actually happened. John Cooper – I will tell you a story of flint and how it has beguiled over-imaginative minds in support of crazy theories. I will show specimens from the Booth Museum of Natural History, itself a temple to one man’s obsession. Kevin Bacon – The Joy of X: Brighton Museums’ Map the Museum, a digital project inspired by French pirates, the Luftwaffe and a man with a large arrow. Paul Farrington – For the last two years I’ve been working on producing the Heritage Lottery Funded project Floating Memories: The Archives of Brighton Swimming Club. I will talk about some of the fascinating stories from the Club’s history – from swimming in top hats, one legged swimming Instructors, aquatic tea parties to walking the greasy pole. Gemma Sturtridge – I’ll be talking about zapping objects, or collections data in action. As the Imperial War Museum begins its transformation, find out how thousands of objects are being tracked across our sites. Rosie Clarke – The tiny Pevensey Courthouse and Museum dates back to the 13th century and is full of amazing stories. Discover what makes it unique when I talk about some of the eccentric objects in their collection, and retell dramatic tales from Pevensey’s heroic past. Jennifer Bowser & Catherine Coleman – Yargh, shiver me timbers! Who were the smugglers on the Sussex shores? The Novium, Chichester’s new museum, will delve into the story of the Hawkshurst gang, Chichester’s most infamous smugglers. Rachel Souhami – I will be divulging mystery, gossip and intrigue from the British Museum, involving women’s shoes, men in wigs and lots of books. And not forgetting our compere Steve Cross who’s taking a night off from making jokes about science to poke fun at museums, muck about and generally try to hold the night together. 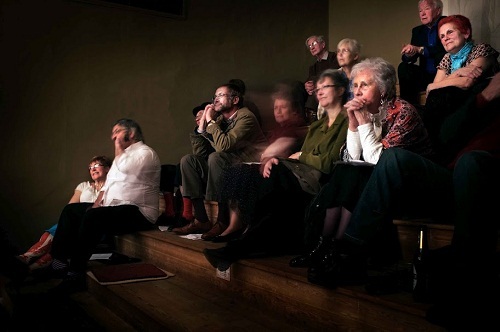 Comments Off on Museums Showoff by the Sea comes to Brighton tonight! I was recently asked how the Museums at Night team manage to collect information about the visitors who attend festival events at arts and heritage venues across the UK. We use a lot of tactics that work together to provide us with a reliable sample for evaluation purposes, so I thought I’d share them here in case they’re useful for any other organisations. We got data from Museums at Night 2012 visitors by selecting a representative sample of different venues (large, small, arts, museum, urban, rural, doing family-friendly or adults-only events) and sending them a standard number of visitor surveys, asking them to get as many as possible completed and posted back to us. We also published the visitor survey form online and emailed all participating venues, asking that if they surveyed their visitors, would they please use our questions. In return, we would process the data for them once we received their forms. We asked venues who wanted to write their own visitor surveys to insert our questions where they could, and to share their results data with us. We also put up the visitor survey on Surveymonkey, and sent the link both to our Museums at Night public mailing list and to venues who wanted to direct their visitors to an online form rather than use paper ones. Where we received a huge number of surveys from regional clusters, we processed them all to enable cluster evaluation, but only fed the results of a proportional number of surveys from that one area into our overall stats, so they didn’t skew the data. As always, none of this would be possible without the help of the staff and volunteers who run Museums at Night events: we’re very grateful to everyone who takes the time to gather and share visitor data with us! Hello again from Project Manager Nick Stockman and myself – we hope you all had a good summer, and we’re happy to be back … and delighted to share with you the Evaluation Report looking at the Museums at Night 2012 festival! 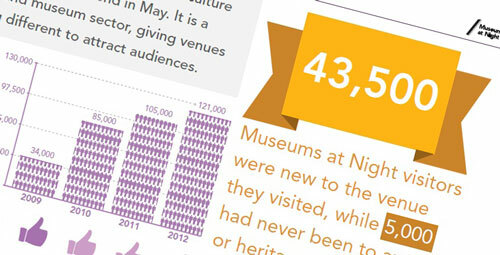 2012 was a record-breaking year for the Museums at Night festival, with 416 venues running 537 events. 121,000 visits were made: 43,000 people were new to the venues they visited, while 5,000 had never been to an arts or heritage venue before. Media coverage was valued at £3.4 million AVE, including a Sky Arts documentary and over 2,000 pages of press cuttings. This is terrific, and we’re very grateful to everyone who helped make the festival such a success. We’re looking forward to working with you again on a brilliant Museums at Night festival for 2013 – we hope to offer you more event packages, more inspiring resources, and more promotional support to make this the most successful festival ever. Don’t forget that we’ve shifted the dates by one day – it will now run from Thursday 16th to Saturday 18th May 2013. Want to be the first to get news from the Museums at Night campaign team? Sign up for our monthly email newsletter!